Jeans Machines Archives - Global International B.V. 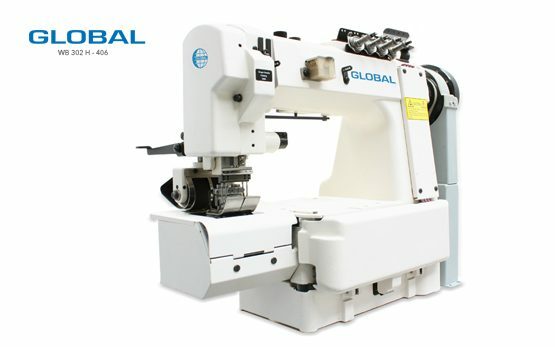 Global offers a wide selection of different sewing machines specially designed for jeans production. Both chain stich and lockstitch sewing machines are part of our program. 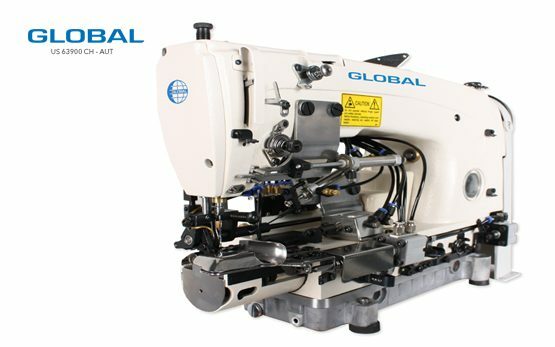 Our Global chain stitch sewing machine US 63900 Series with a single-needle, two-thread and cylinder arm is a chain stitch machine with continuous rear roller feed and needle-feed. Suitable for sewing bottom hems on jeans, overalls and other operations. 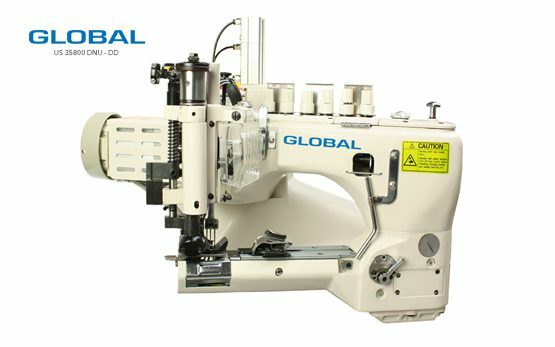 This sewing machine is equipped with a split hemming attachment, pneumatically operated hemmer opener, needle cooler and presser foot lifter.